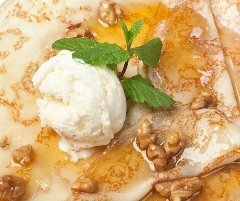 Honey bee removal services, did you even know they exist? Yes! They do! 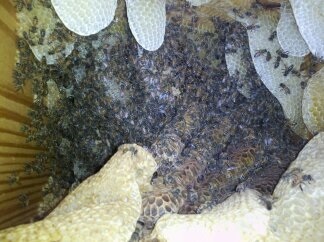 And with the onset of Spring, new swarms of honey bees will want to move their colonies into buildings. 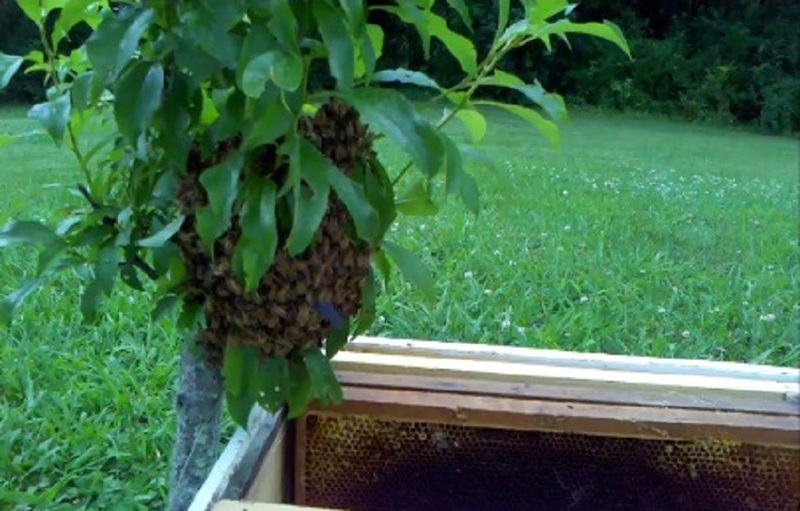 These honey bee swarms will gather on trees, buildings, or any other object they may find suitable to gather on while they send out scouts looking for a new place to build their comb. Yes, they will even gather on Redneck Archery Targets! Do you see a swarm of bees? DON'T PANIC!! Just call a beekeeper! So, how do you get rid of bees? 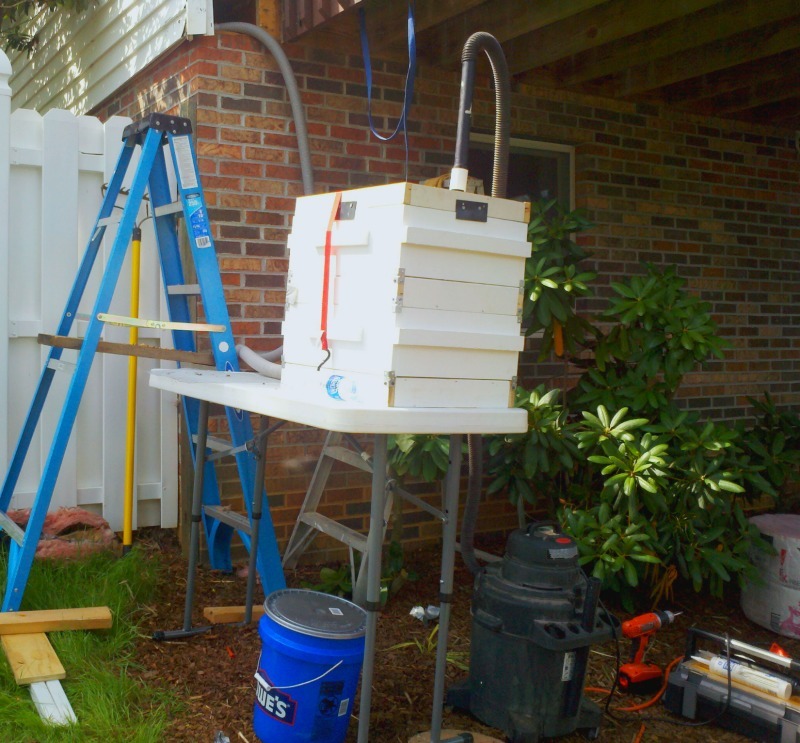 Honey bee removal involves one of three methods: swarm removal, cutouts, and trap outs. 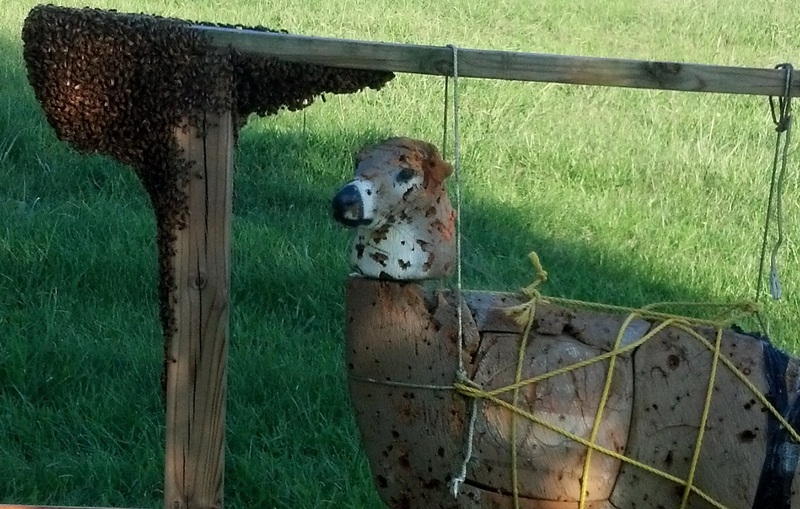 Swarm removal are the easiest way of removing bees from someone’s property. They may be on a low fruit tree, just inches from the ground. Or, they may be in the top of a tree 40 feet above ground, making retrieval much more difficult! The nice thing is, when swarming, honey bees are generally calm and won't mind being scooped by hand or brushed into a box, hive body, or bucket. The branch they are on can be shaken to drop them into the container. Or, with the owner’s permission, the branch can be cut off and transport them on the branch in a cardboard box to their new home. 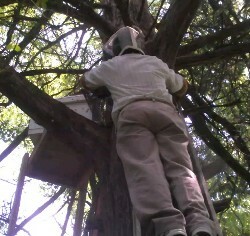 When the bees are located in a building or tree the removal takes on a whole new aspect. In these instances a cutout or trap out must be done. Cutouts are done when you can remove whatever is covering the comb in the wall, ceiling, or floor. They usually take a average of 5 hours to perform, but could take a couple of men 8 hours to complete depending on the size of the colony, and the quantity and type of material covering the colony. 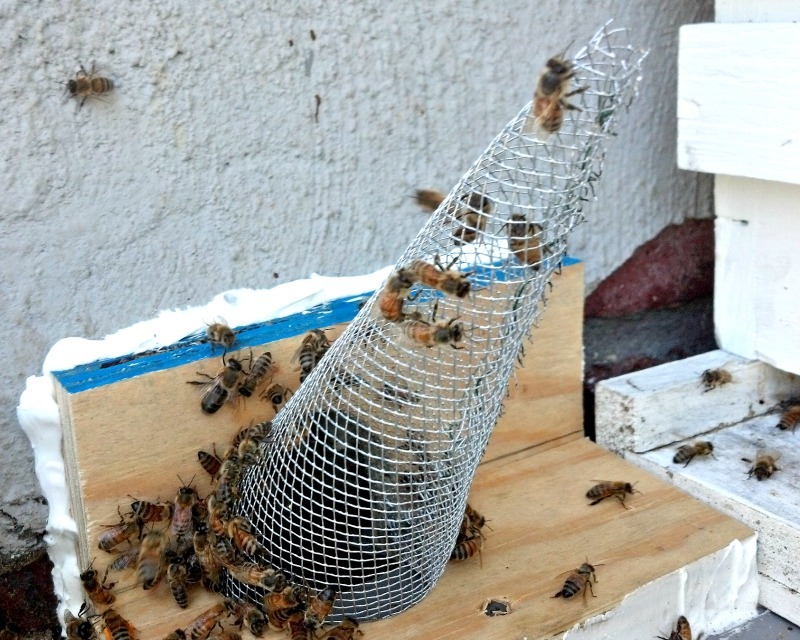 Trap Outs are done when it is not possible to get to the comb. They can take up to 8 weeks or longer depending on how hard it is to plug all the entrances, the size of the colony, and how much pollen and honey they have stored in the hive. Our initial visit and estimate are always free. 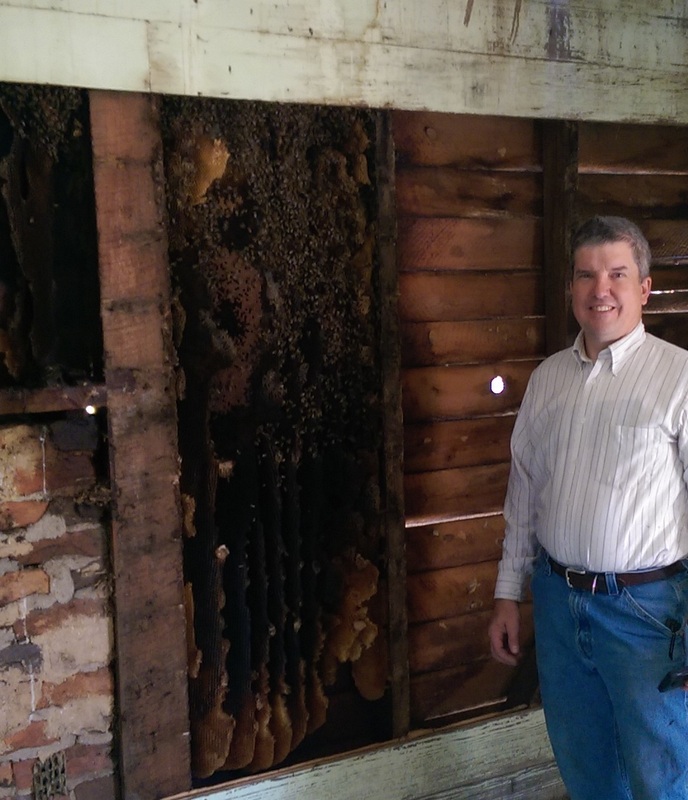 I will report my findings of where the honey bees appear to be building comb in your building, the best method of removal, and what the cost will be. Every colony is different with different comb structures in varying locations. Because every building is different, the honey bees will build comb in different ways making the challenge to figure out where and how to get to them. 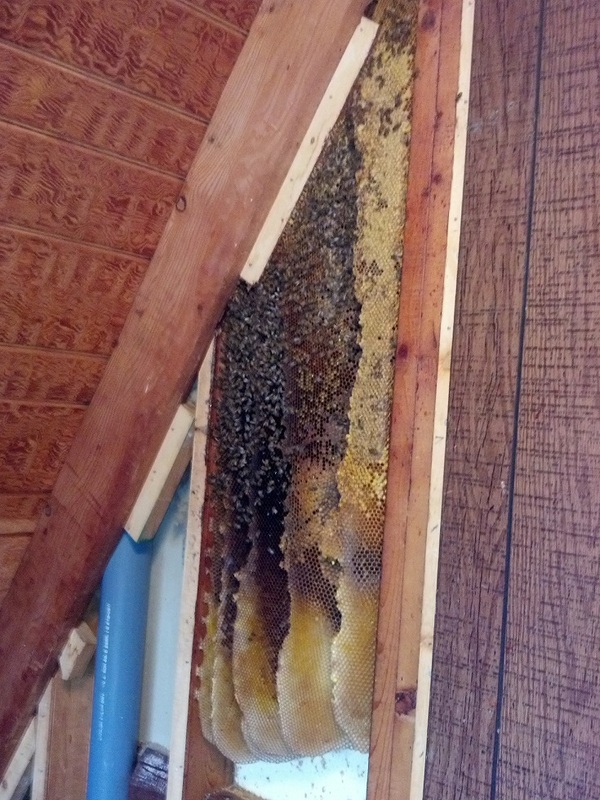 Do you have honey bees in your home or business? 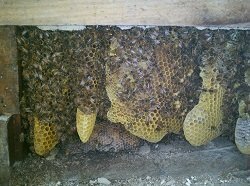 Contact Us and we will follow up with you on how to solve your problem and get rid of bees.